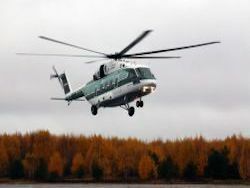 The corporation «Helicopters of Russia» will present on the international aerospace salon MAX-2015 in Zhukovsky a line of cars for the Arctic. It was declared by the deputy general director of corporation Roman Tchernyshev, reports TASS. 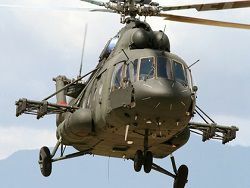 According to him, Mi-8AMTSh-AV helicopters and Mi-26T2 will be presented. As Tchernyshev told, latest heavy Mi-26T2 will be adapted under use in the conditions of extremely low temperatures – to 60 degrees below zero. 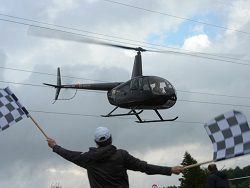 «We finished work on this helicopter, already there are serial deliveries to our customers. Today together with the Ministry of Defence we study a question of adaptation of this helicopter under the Arctic region», – Tchernyshev told. 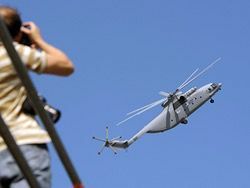 Earlier in August it was reported that Algeria acted as the starting customer of helicopters of the Mi-26T2 type, having bought from Russia 14 such cars. The first helicopters were transferred to the buyer even in the spring of 2015. 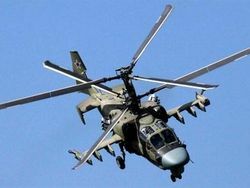 Mi-26Т2 differs from base Mi-26T the reduced number of crew (operate by car two can or three persons instead of five). Multipurpose displays instead of standard analog devices are also established, the helicopter needed to be applied round the clock. 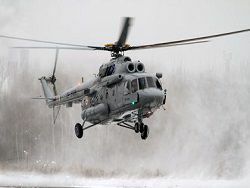 The Arctic Mi-8AMTSh-AV version is created on the basis of the last updating of the Mi helicopter – 8АМТШ – In, equipped with new gas-turbine engines VK-2500-03, more powerful auxiliary TA-14 power plant and the updated avionics. The car is created taking into account specifics of application in the conditions of low temperatures (from a minus of 40-50 degrees on Celsius and below) and limited visibility at performance of flights, including during polar night. 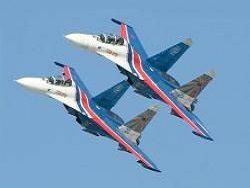 MAX-2015 will pass an air show in situated near Moscow Zhukovsky from August 25 to August 30.